Wuhan Zhongda Bio-Sensor Tech. Co., Ltd. (“Zhongda”), Wuhan, PRC, is pleased to announce the merger of its operations with Convergent Technologies GmbH & Co.KG (“Convergent”), Germany with effect from 01st January 2019. All worldwide marketing decisions as well as OEM collaborations are handled directly by Convergent Technologies in Germany. 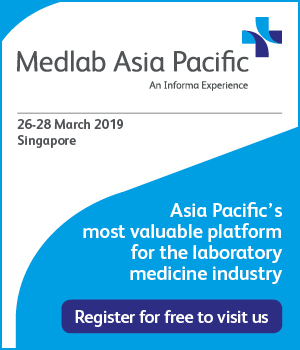 Zhongda and Convergent have a combined..
We are pleased to inform you about our participation at MEDLAB Dubai 2019, which takes place between February 4th and February 7th, 2019 at Dubai World Trade Center in Dubai, United Arab Emirates. You will find us in New Za’abeel Hall 6, Our Booth No. is Z6.J48. The Convergent team is very much looking forward to see you..
Dear Partners, Our offices shall be closed from 21st December 2018 to the 1st January 2019 on account of Christmas and New Year Holidays. The last shipping date for 2018 is the 18th December 2018 and we shall be resuming our regular shipping services from the 2nd January 2019 onwards. We thank you for your kind support and look..
Dear Partners, Our offices shall be closed from 25th December 2017 to the 7th January 2018 on account of Christmas and New Year Holidays. The last shipping date for 2017 is the 20th December 2017 and we shall be resuming our regular shipping services from the 15th January 2018 onwards. We thank you for your..
We are pleased to inform you about our participation in the MEDICA 2016 – World Forum for Medicine, which will take place from November 14th to 17th 2016 at Messe Düsseldorf, Germany. You will find us in hall 3 at stand B45. The Convergent team is very much looking forward to seeing you at MEDICA..